This entry was posted on June 13, 2013 by Andie Pantazi. A doctorate program in graduation is one of the most venerable achievements for the people. The challenge of education in doctorate is not that simple; it has lots of struggles. For you to stand out in the event, you have to wear a set of academic regalia that relates your discipline with high quality. Your hood has to connect with your doctoral graduation colors. Nevertheless, the color of gowns, tams or mortarboard caps, tassels, and hoods, are based upon the institutions rules. The doctoral graduation colors may vary greatly, from the gown to the hood that pays heed on every institution. The colors of graduation garments imply special meanings which are indispensable to be noted by the people in the ceremony. Knowing the colors especially to the hoods-- allow everyone on the event to cling on the essence of the graduation. Harvard University's color of their hood lining is crimson; while the doctoral gown is a combination of crimson and black; and for the doctoral square tam is black. University of North Carolina combine the carolina blue with 2 white chevrons; the doctoral gown has a mixture of carolina blue with velvet of royal Blue and white for the piping; and for its 6-sided tam it is royal blue with gold tassel. University of Iowa's hood lining combines the black and gold; while its doctoral gown, the sleeve bars boasts black color and the front panels is yellow; and the octagonal tam is black velvet with gold tassel. Washington University in St. Louishood lining is consists of a combination color of green amid red chevron; green doctoral gown with velvet trim of black; its tam is black hexagonal attaching the gold tassel. University of Illinois at Urbana-Champaign's hood lining has an Illinois Blue color with 2 Illinois orange chevrons combination; the admiral blue doctoral gown mixed with royal blue and the trim is orange; its octagonal tam's color is royal blue or a mortarboard cap with admiral blue. 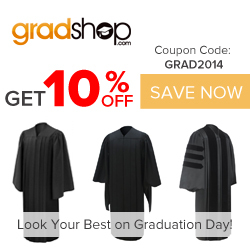 The color of the doctoral graduation garments above provides vital function to graduates set of academic regalia. Acknowledged occasionally as "Academic Regalia Inter-Collegiate Colors," this represents your definite discipline or area of expertise. The fabric color purely goes with the color of the graduation gown, which is generally black although at times has another color depended on the institution. As you see, from graduation gown, to the lining hood, to the graduation tam, colors are various that stand a symbol of the diverse honors and titles that are being conferred to students. Thus, when you seek to obtain doctoral academic regalia, she you have to provide the right details together with the appropriate color that match up properly to the color of the academic degree and school essentially provided. У нашей компании классный веб сайт про направление http://top-obzor.com.